The APA has many different avenues for advertisers to take advantage of to reach out to our vast customer base of over 265,000 members in the U.S., Canada and Japan. Print and electronic options are available and very reasonably priced. The American Poolplayer is specifically directed to players as the end-user. It is mailed directly to each APA member’s home, bars, taverns, plus APA League Operators across the United States and sections of it can also be seen here at the APA website. If film is supplied, an additional production charge of $180 for four color and $80 for black and white will be added. Patching, composition, artwork, film and copy changes made at request of advertiser will be billed at cost. Regular advertisers net 30 days. 1.5% per month finance charge for accounts over 30 days. 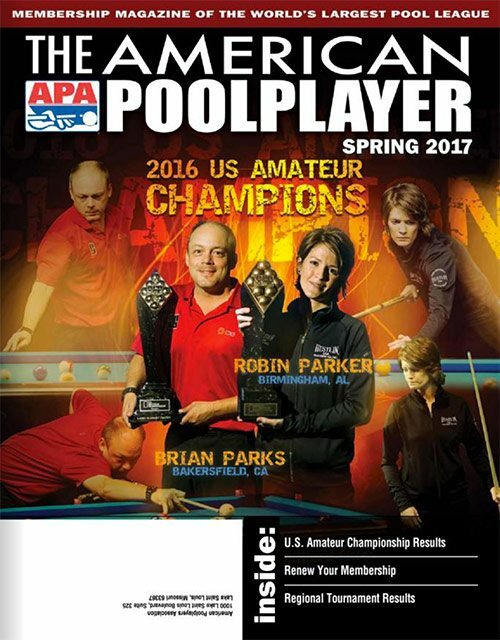 Want to advertise on Poolplayers.com?